Kirsten Day is the Course Director of Interior Architecture and lecturer in the Department of Architectural and Industrial Design at Swinburne University of Technology. Her research emerges from 20 years working as an architect, in-situ examination and exploration, and an abiding interest in Asia generally and especially Chinese culture and history. 1. The narrative of cultural identity represented in architecture. 2. Architectural practice – specifically the role of architects in the future competing with emergent technologies, patents and copyright and subsequent influences on the design of place, specialisation of skills (including outsourcing of tasks), and other consultants with a similar skill set. 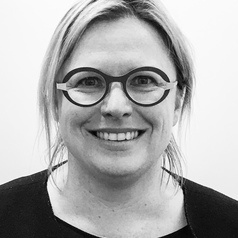 Kirsten is a registered architect in the state of Victoria/Australia, and is principal architect with Norman Day + Associates. She has worked on numerous projects in Australia and in the Asia-Pacific Region.